Only a few people were able to show up due to conflicts, but we had a really fun time! 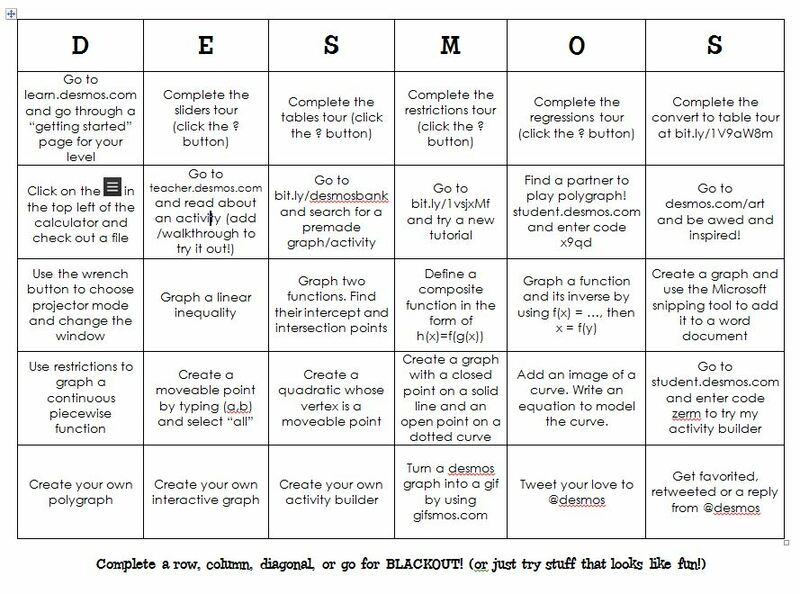 I started them with this activity builder so I could have it running and show them the teacher dashboard on the projector. Then I let them loose on the bingo card. We got through the first three rows in about an hour (and the time seemed to just fly by!). We also did lots of brainstorming and bouncing off ideas to use in class. There was of course lots of “where was this last week/last year/when I was in college!?! ?” comments. 🙂 Oh, and is there anything better than that gasp when someone uses a slider for the first time? Thanks sooooo much for sharing! 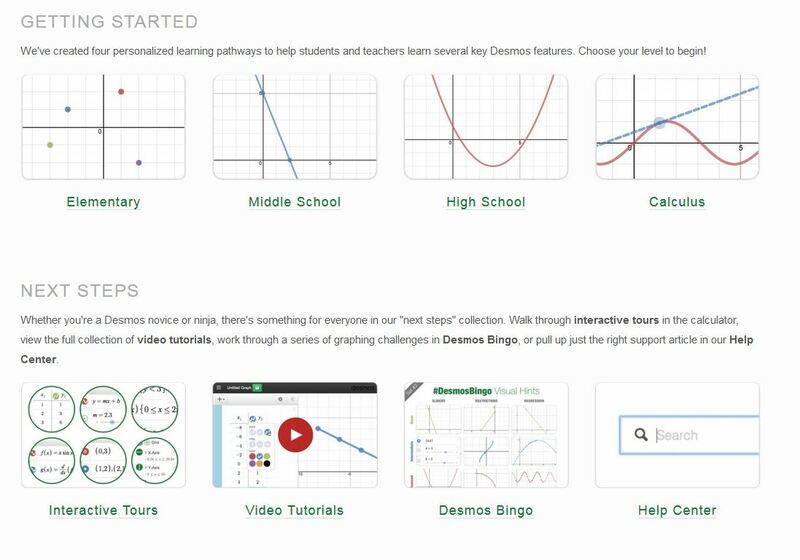 You’ll be helping lead some Desmos PD by proxy in NC soon! Man, I’m PD all over the United States! 🙂 Hope it works well for you!